Where does one even begin? A game series that has been a household name for almost 25 years. There have been many reiterations of the game. Some became a massive success some became gargantuan flops that are dreaded to this day. Overall though we can all agree it can be summarized into 3 main eras. First being from 1994-2000 ending with Porsche Unleashed which saw the agreement between EA and Porsche which made Porsches exclusive to Need for Speed. Second is what most people call the golden era of Need for Speed. The Black Box era of Need for Speed games. This started in 2002 with Hot Pursuit 2 and ended in 2008 with Undercover. And the 2010s is the third. The game bounced from developer to developer with all different directions and paths on what NFS should be. And now since 2013 we have landed and stabilized the series with Ghost Games. Now with the quick history behind us, let’s talk about the state of the series. I personally never heard of sold better than Rivals. What my point is, is that the fanbase shrank. It progressed into other trends (aka shooter games) which were more polished. Sure everyone has a sort of soft spot for NFS. But when asked to spend $50-60 on a game, people would rather be spending it on something else than NFS. Right now the trend seems to come back to customization. Countless games which people play are free with customization locked behind a paywall. Why? Because people like difference aesthetics and looks and want to stand out and be unique. And that is what the car culture is all about. And we are seeing a resurgence of JDM cars and customization. More refined nowadays but a nod back to the early 2000s. And now the main trend is to widebodykit everything that is possible to or not. People joke about some certain online multiplayer games (mainly MOBAs like Dota 2 or League of Legends) and their communities being incredibly toxic. But I would say Need for Speed fanbase is on another level. You get such a huge variation and difference in opinion over what NFS should be that people end up bickering over it. Some people solely want Underground 3 to happen but fail to see that it wouldn’t be anything like it. Others like Brake-to-drift handling others detest it. Again some others want to see remastered version of older games. But thats living in the past. And while they are amazing game and we all love them (mostly) we have to consider the future of the series. There were countless of passion projects that have been picked up by the community completely and got invested in it. Most recently it was a passion and fanmade project called Tokyo Nights. There have been project but have never seen such unity in liking what people have created. While there can be a line drawn between what people want and UG3 it would have to be something different. Different times call for different style of games, content and player experience. That is what the community needs to understand and help the development by sharing their ideas and hopefully they will listen. Which Ghost Games have done in the past and hopefully continue to do so. But it can all be really misleading as thanks to such popular mainstream community sites opinions and feedback which is not reflective of the actual community can easily be the detail which developers base their games around. Which we all can agree isnt beneficial. I want this article to serve as a conversation starter. I can’t possible list all the things that have put NFS where it is at. I`m not trying to paint the picture that our beloved game is in a dire situation. It’s been improving from the overall agreed on bad games it had. 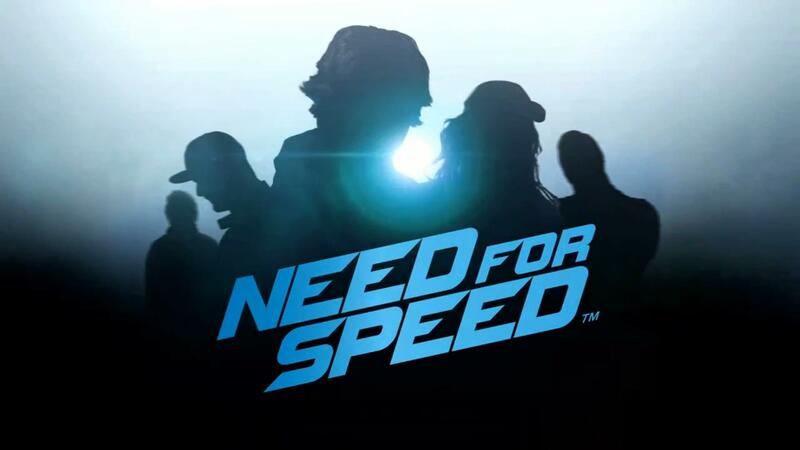 There are ups and downs but what we can be happy about is that Need for Speed was one of the first game series out there realising they need to change and listen to the community which has never been easier than now. Access to sites like this, to Reddit and a bunch of YouTubers who are vocal about their opinions and want the game to flourish once again and be as good as it can be. It was a trend overall (with some respectable exceptions) that corporate greed from AAA companies have ruined of the games and have been plaguing them with all sorts of bad DLC habits and microtransactions. Regardless I personally have a positive view on the curve Need for Speed is going. Its here to stay. It sells. We love it and will continue to do so because wherever may our passion come from to the series we, here all are united with our passion to the series.